Goedemorgen and Bonjour. We're taking a virtual chocolate voyage to Europe this morning. 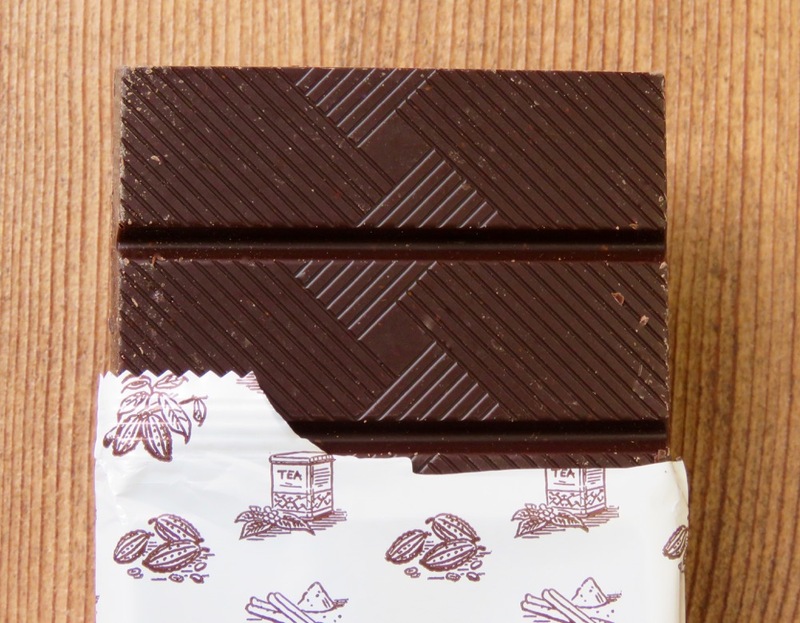 Chocolate fans in the U.S. can be forgiven for thinking that chocolate originated in Switzerland or Belgium. Both countries played an important role in the rise of popularity of chocolate as we know it in the past century or two. Belgium's association with chocolate began almost four centuries ago, when the country was under Spanish occupation—after Spanish explorers brought cacao to Europe from the Americas, and were consuming chocolate in beverage form. 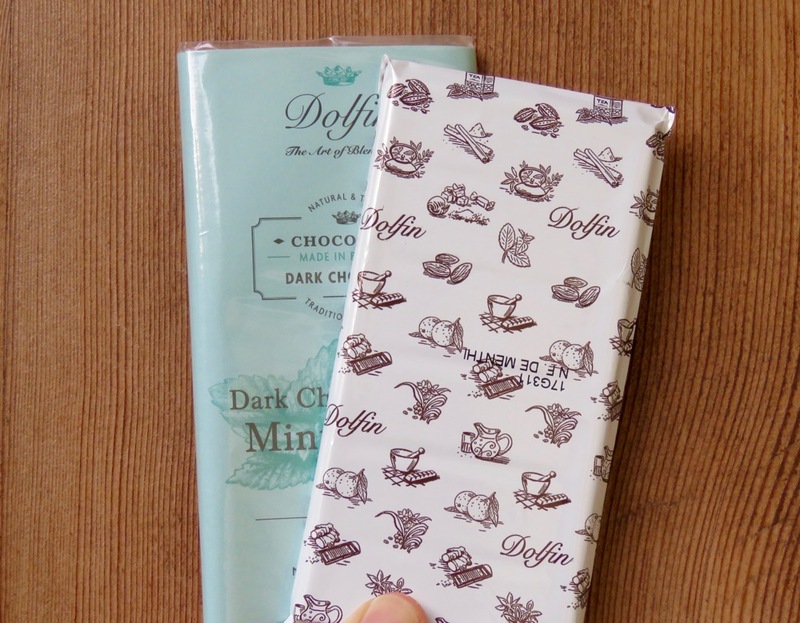 Eventually, chocolate dynasties and prestigious houses of chocolate arose, and many are still on the scene. Creamy chocolate pralines (bonbons) appeared in Belgium in the early 1900s and quickly spread elsewhere. Dolfin Chocolate appeared on the scene years later, but honors Belgian chocolate manufacturing traditions. 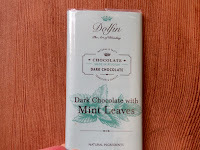 Welcome to Day #9 of Chocolate and Mint Theme Week. 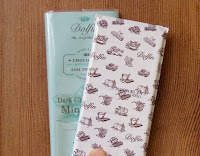 Today's Dark Chocolate with Mint Leaves bar hailed from Dolfin SA (Wauthier-Braine, Belgium).